What makes it special: The Fury was produced by Plymouth from 1955 to 1989. It was introduced for the 1956 model year as a sub-series of the Plymouth Belvedere, becoming a separate series one level above the contemporary Belvedere for 1959. The Fury was a full-size car from 1959 to 1961, then a mid-size car from 1962 to 1964, again a full-size car from 1965 to 1974, and again a mid-size car from 1975 to 1978. What made it famous: The Fury was a sub-series of the Plymouth Belvedere from 1956 through 1958. In 1958 it was only available in Buckskin Beige with gold anodized aluminum trim. These Fury’s had a special interior, bumper wing-guards and a V8 engine with twin 4-barrel carburetors. The 1958, the 318 cu in engine produced 290 hp . In 1958, the optional engine was a 350 cu in called Golden Commando with two 4-bbl carburetors producing 305 hp. A 315 hp option with fuel injection was available, but the Bendix electronic fuel-injection system was recalled by the factory and owners were given a conventional dual 4-barrel setup. The Golden Commando engine was optional on any Fury, as was the dual 4-barrel 318 cu in, dubbed V-800 Dual Fury; 4- and 2-barrel 318’s also arrived for 1958 and were simply called V-800. Why I would want one: It’s not only beautiful and stylish, but thanks to a 1983 movie adaptation of a Stephen King novel, it’s also sinister. 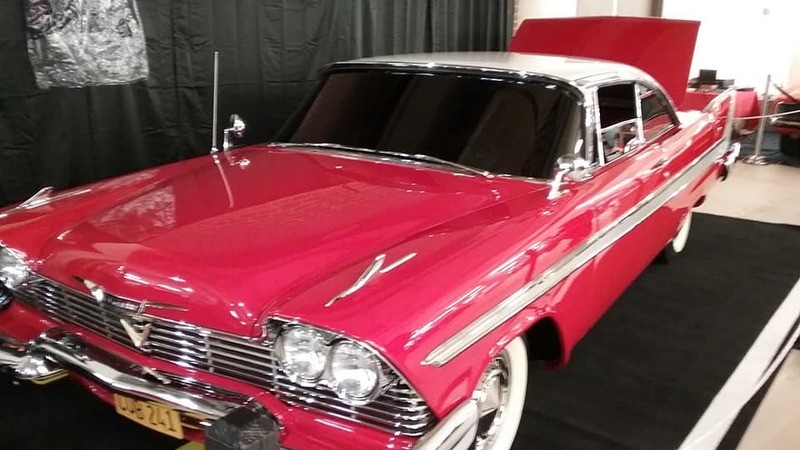 Fun fact: The model appears in popular culture as the subject of interest in the 1983 New York Times Best-selling novel Christine by Stephen King about a 1958 custom red and ivory Plymouth Fury that is part of a frightening love triangle. It was later adapted into a movie.